New York: Harcourt, Brace, 1950. FIRST AMERICAN EDITION (preceding British edition). This is a sparkling copy of this posthumous collection of 26 essays and sketches, which includes pieces on Goldsmith, Crabbe, Ruskin, Turgenev, Hardy, and Conrad, as well as writings on literary topics, including pieces entitled "All about Books," "Reviewing," "Reading," and "The Cinema.". 208 x 138 mm. (8 1/4 x 5 1/2"). vii, 248 pp. FIRST AMERICAN EDITION (preceding British edition). 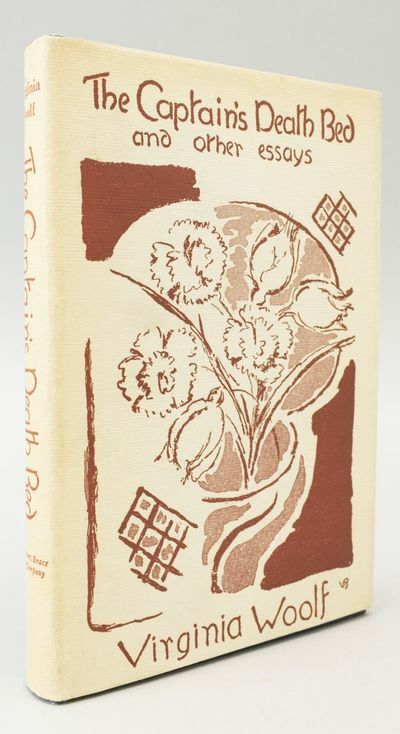 Publisher's blue cloth, in original dust jacket designed by Vanessa Bell. Kirkpatrick A-30. A very fine copy in quite a fine (clipped) jacket, with just a hint of browning to jacket spine. This is a sparkling copy of this posthumous collection of 26 essays and sketches, which includes pieces on Goldsmith, Crabbe, Ruskin, Turgenev, Hardy, and Conrad, as well as writings on literary topics, including pieces entitled "All about Books," "Reviewing," "Reading," and "The Cinema."